Deb's Cup of Tea: Want a Little Star Wars? I missed the point, I think, of Force Friday on September 4th. 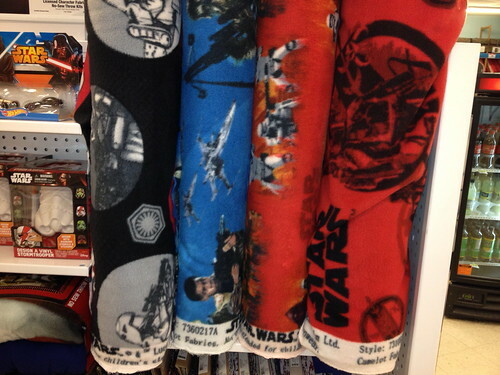 It seems a lot of Star Wars merchandise was released to the public. Other than obtaining for gifts, the whole hype of the day was lost on me. I did have to go back to JoAnn to pick up some supplies for the shirts and what I saw interests me. Look at the fabric. The above and below is cotton material. 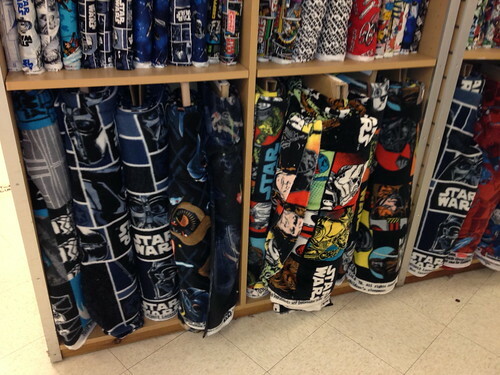 If you'd like something else, they had fleece in all sorts of prints. Camelot Fabrics, whose link to their blog you can find to the right, is the designer of all of this. In my mind's eye, as I perused the bolts, I could see pjs and robes and curtains and quilts and shirts, lots and lots of shirts. No, I did not come home with a bunch of fabric. 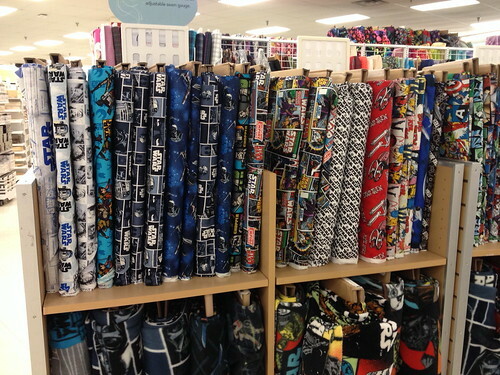 I have way more than I can use at any given time, but the sheer amount of Star Wars-themed fabric set my heart aflutter with possibilities. 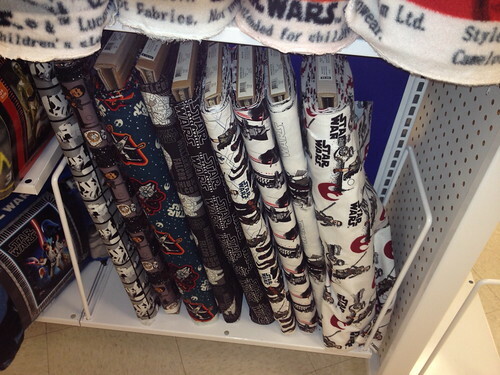 I'm sensing there will be a lot of Star Wars clothing coming at Christmas.